This blog has been dormant for awhile now, and it is with some irony that my last post was my annual tribute to James Garner on his birthday last April. For today I woke up to the very sad news that he has now passed away at the age of 86. I knew he'd been in poor health for some time now, and when someone reaches that age you know that the day they'll no longer be around is inevitable, it's just a matter of when. Yet somehow it still remains difficult to imagine this world without them in it. On previous occasions, I'd felt that way upon the passing of Audrey Hepburn in 1992 and of Frank Sinatra in 1998. That's the way I feel about Jim Garner too. For me, Jim was more than just my favourite actor. It wasn't merely that I appreciated his considerable skills on the movie or TV screen. There was something more that he had - a quality that went beyond his celebrity. He was a genuinely nice man, exuding a warmth, charm and friendliness that just naturally engaged people. As a result, his numerous fans were extremely loyal and dedicated to him, as evidenced by the Facebook site set up by his friend, Robert Howe, The Official James Garner Fan Page. 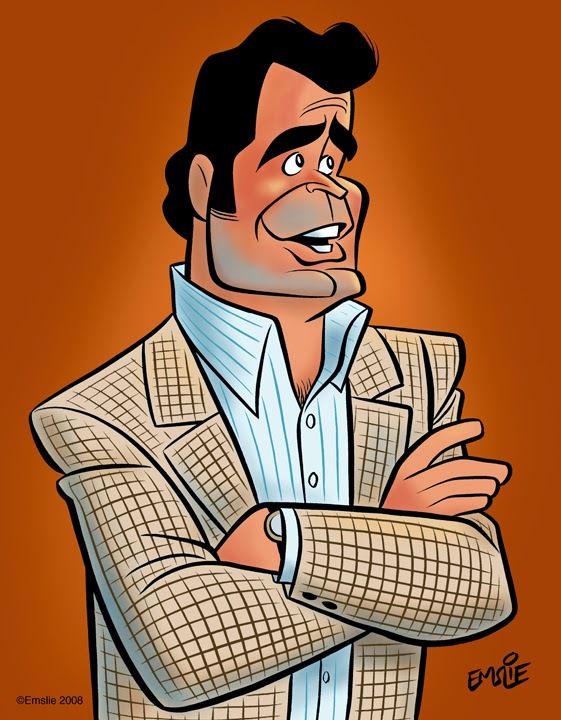 We had all grown up enjoying watching Jim in his movies, and especially his two long running TV series, Maverick and The Rockford Files. To all of his finest roles, he brought a special element of self-effacing humour. He was the "reluctant hero" - the man who would rather avoid trouble if he could help it, but would stand up for himself and others when push came to shove. I am grateful that I got to meet Jim back in 1982 on the set of his series, Bret Maverick, a sequel to his original series that featured him still as a sly yet conscientious gambler, but now 20 years older and looking to settle down from his roving ways. The visit to the set at Warner Brothers had been arranged by my good friend, Bryan Stoller through a studio contact, and it was just wonderful to meet Jim himself that day. 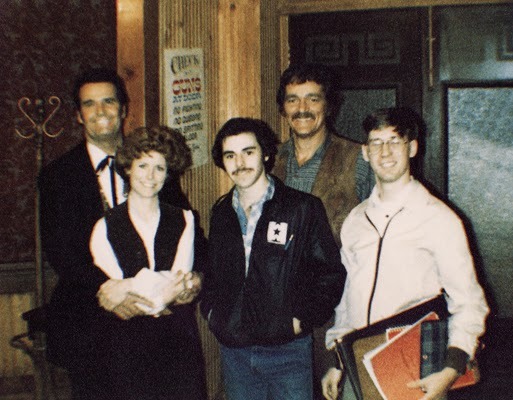 I'll never forget shaking his hand, then him saying, "Come on over here, son", in that distinctive voice of his, as he motioned me over to one of the tables in the show's Red Ox saloon set they were filming on, so he could look at the drawing I did of him and autograph another one for me. He was as tall and handsome a man as could be, with that warm manner and engaging smile that I'd grown up watching on the movies and TV. A real square-jawed, silver screen hero in the flesh! Another little piece of my childhood has left us. As a kid of the 1970's He was always Jim Rockford to me. My favorite movies are 36 Hours, Support Your Local Sheriff, and TANK. He always reminded me of Dean Martin. very cool, great sense of humor,and didn't take himself too seriously. Could make fun of himself and didn't mind anyone else poking fun at him. Check out clips of him on Laugh In on youtube. He was so funny. Beautifully written tribute Pete. Garner exuded an effortless cool that can't be faked. I forgot to mention those Polaroid Commercials with Mariette Hartley. They were just so funny. Perfect example is here. When I read the news of Jame Garner's passing, your blog sprang almost immediately to mind. I was glad to see your warm words about him in your most recent post. My exposure to Mr. Garner is probably atypical for most who knew of him as my introduction to him was the 2001 Disney animated film, "Atlantis: The Lost Empire" (I was probably about 20 or 21 years of age at the time). Since then, I have learned about him and his legacy and it's not difficult to understand why he was so admired. As I've seen others say about him: "they don't make them like him anymore." Rest in Peace, Mr. Garner. You're right - Jim Garner and Dean Martin were similar types in many ways. Both ruggedly handsome, charming, and extremely likeable, with that aura of effortless coolness about them. I miss those great personalities that were so much in abundance in that great era of entertainment, yet so rare in this age we now find ourselves in. Another excellent post about our favorite actor, Jim Garner. I completely agree with your assessment on Jim's "specialness." I think we all felt it. I know I did the first time I laid eyes on him as Bret Maverick in 1957. I felt I knew him and what he was like. And in all these years, he never disillusioned that 13 year old girl who made him her hero. Not all heroes have feet of clay! That part about Gigi showing him your post and his reading it aloud himself was SO cool. He never did "get it" about what in the world people saw in him. He didn't think there was anything special about himself at all. Such a self-effacing, humble person he was. How could you not love him? Thank you for the wonderful pictures and columns about him. I'll be keeping my blog about him going.